An opposition Azerbaijani journalist remains in legal limbo in Ukraine after a Kyiv court ordered him not to leave the country. Rights activists say the delay increases the journalist’s risk of being abducted and sent to Baku where he awaits trial on trumped-up charges. The journalist, Fikret Huseynli, was detained by Ukrainian authorities in October 2017 after an Interpol red notice was requested by Azerbaijan. He was ordered on March 18 to remain in the country until the prosecutor general’s office has investigated Baku’s extradition request. “I was supposed to be released six months ago,” Huseynli told the Caucasian Knot news outlet after the ruling. The Netherlands has recognized him as a political refugee, he said, which under the Geneva Convention should also protect him from extradition from Ukraine. Huseynli is wanted by Baku for allegedly crossing the border illegally, as well as for fraud. The journalist denies all charges. Activists say his work investigating high-level corruption in Azerbaijan is the real reason for the red notice. “If I am killed or kidnapped or extradited to Azerbaijan in the near future, all responsibility lies with the Ukrainian authorities. What awaits me in Azerbaijan is a long prison term or death,” Huseynli wrote on his Facebook page on March 13. He has good reason to be fearful. On March 5, the journalist’s apartment was visited by men claiming to be Ukrainian police officers. “They tried to break down the door. They punched me, and I lost three teeth. With the help of others, I managed to close the door, and I escaped through the balcony,” Huseynli told RFE/RL’s Ukrainian Service on March 14. The assailants who attacked him spoke Ukrainian and Azeri, he said. 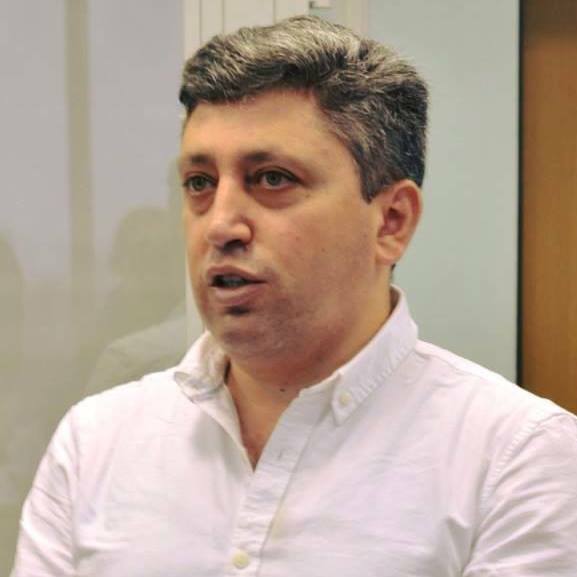 The journalist also says he was approached by agents of the Azerbaijani security services who told him Azerbaijan will rescind the extradition request if he writes favorable reports about the regime and criticizes the opposition. The arms of Azerbaijani law have been getting longer of late, as the country has stepped up its efforts to seize regime opponents outside its borders. Last year, Belarus extradited travel blogger Alexander Lapshin to Azerbaijan because he had visited – illegally in Baku's eyes – the territory of Nagorno Karabakh. And another Azerbaijani opposition journalist, Afgan Mukhtarli, was kidnapped in Tbilisi and shuttled over the border into Azerbaijan. Mukhtarli has blamed the Georgian government of colluding with Azerbaijan in his kidnapping. Interpol red notices have seen an increase in recent years, from 2,804 in 2006 to 12,878 in 2016, according to Reporters Without Borders. Rights activists say the notices are being manipulated by repressive regimes to crack down on opposition outside their borders. Husyenli, who works for the opposition Azerbaijani news site Turan, told reporters he feels betrayed by Kyiv after years of vocally supporting Ukraine’s territorial integrity.